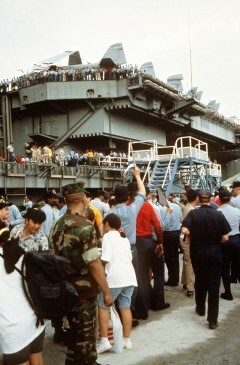 The closure of Naval Base Subic Bay, the U.S. Navy’s massive ship-repair, supply, and rest and recreation facility in the Philippines, was prompted by both political and geological unrest. Once the second largest U.S. overseas military installation in the world, it was acquired by the U.S. in the 1898 Treaty Of Paris and because of its strategic location, played a key role in World War II, the Korean and Vietnam wars and Operation Desert Storm. But with the departure of President Ferdinand Marcos and the rise of the People Power Revolution, the operation of the bases by U.S. forces was increasingly seen as incompatible with Filipino nationalism. 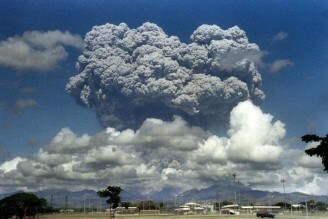 The political turmoil was complicated by the June 15, 1991 eruption of Mount Pinatubo. 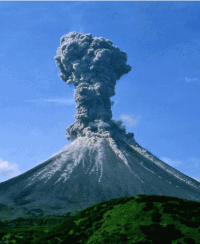 The second-largest volcanic eruption of the 20th century, it produced high-speed avalanches of hot ash and gas, giant mud flows, and a cloud of volcanic ash. 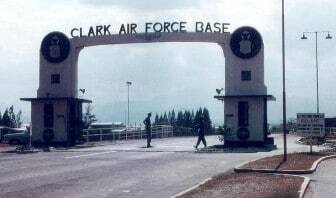 The U.S. Air Force evacuated and closed down Clark Air Base. Naval Base Subic Bay was also evacuated but less badly damaged and operations resumed. 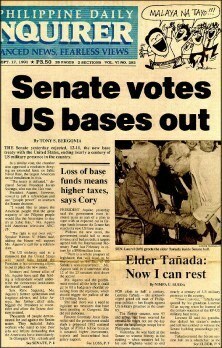 On September 13, 1991, the Filipino Senate voted to reject a lease extension on the bases, ending almost a century of American military presence. The closing required the relocation of 5,800 military personnel, 600 civilians and 6,000 military dependents, and resulted in a major economic loss for the Southeast Asian island nation. Serving as a Public Affairs Officer in the Philippines from 1984-1987, Herwald Morton recalled the strategic value of Subic Bay and Clark Field to American military operations in an interview with James T. L. Dandridge in April, 2003. Philip Merrill, Defense Department Counselor from 1981-1984, talked about the U.S.-Philippines negotiations with Charles Stuart Kennedy in January, 1997. Richard H. Solomon, ambassador to the Philippines from 1992-1993, discussed the consequences of the base closures in a September, 1996 interview with Charles Stuart Kennedy. To read more about the Philippines, evacuations, the military or the departure of Ferdinand and Imelda Marcos, please follow the links. MORTON: When I got to the Philippines, we had several issues that were facing us. One of them was the huge American military presence. We still had the huge naval facility at Subic Bay; it was our largest naval repair facility outside the continental United States. 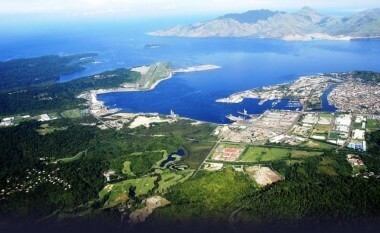 Subic has a huge natural harbor that is large enough so that aircraft carrier can turn around within the harbor itself and with float and dry dock facilities. There were recreational facilities there for the Seventh Fleet. So they could come in and the troops could have, if they really wanted to, they could stay on base without going into the community. There were lighted baseball diamonds that were open 24 hours, bowling alleys and horseback riding and golf course and there was a little island off the coast. They could go out swimming and scuba-diving or whatever. It was really a great place. They had several PXs and commissaries and it was a self-contained city. It had its own potable water supply. Not only did it supply the water for the base but it supplied potable drinking water for the ships of the Seventh Fleet. And they had these huge containers that they would fill with water and tote to Diego Garcia to pre-position for the Navy there. So, the capacity for the water filtration system was tremendous. The housing was great. It was a beautiful base. And then we had Clark Air Force Base which was 50 miles from Manila. And Subic was probably about 65 miles but in a slightly different direction. And they were close enough to each other to be supportive. The aviation fuel could come in through Subic and they had a pipe that would then send it by pipeline over to Clark. There were other US military facilities. There was a gunnery range so that the planes from Japan could come down and gunnery practice. And from Guam and other military facilities, the Marines could come down from Okinawa and do guerilla training and storm the beaches. Back in the 20’s the Philippines was probably one of the most densely forested countries in Asia. But the forest and the jungle have practically all been denuded. 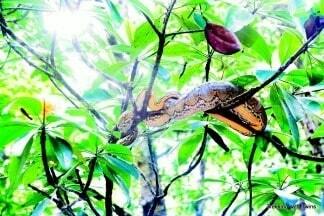 The largest forestry, virgin forest, still alive was around on the military base at Subic and around Clark. This was very good for the U.S. military to use for maneuvers although they had some of the biggest snakes in the world there. You could find pythons or members of the pythons family 16 or 17 feet long that could swallow a small goat or calf, whole. They were big. There was one maneuver while we were there. You know a snake can rise up one-third of its body length and these marines were on maneuvers and one marine got bitten on the top of his head by one that was that big so it had to be at least 18 or 19 feet long to get on top of his head like that. Fortunately, he survived because his colleagues were nearby. But as I said, we had several issues while we were there. One of them was the bases, the presence of the bases; they formed a large presence right in the Philippine economy and to the Philippines society at large. This was a vestige of colonialism. And it just rankled them. They liked the fact that they were there, they provided tremendous employment and the best paying jobs in the country were on the military facilities. But it was foreign military presence. There was a security issue because the Marcos’ had established diplomatic relations with the Soviet Union. And Imelda especially liked to try to play off the United States and the Soviets to see which one they could get the biggest favor from. They would periodically threaten to kick us out and lease the bases to the Soviets. 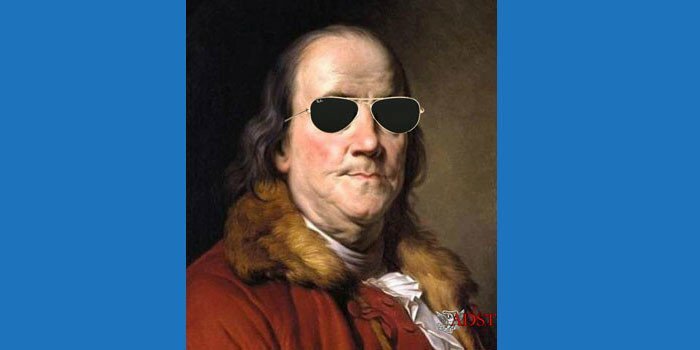 We paid what we called economic assistance in compensation for utilization of the bases and we called it economic assistance, the Filipinos called it rent. So, there was this dichotomy in our thinking right there. Bombing ranges are much more complicated than anybody realizes. A place to test fighters and bombers is a big deal. You don’t just tow targets and shoot at them. It has to be calibrated, and the testing facilities are very complex. Airplanes from all over the Far East, from Thailand and Japan and South Korea and Taiwan relied on Clark. The repair facility at Subic Bay was fully the equivalent of Norfolk, except that it probably had 20,000 more prostitutes than Norfolk ever imagined. In the real world when the fleet goes to sea for four or five months, and the sailors come back, they are not only looking for mom and apple pie. Not only did it have an entire society dependent on it, both good and bad, it had an entire military housing dependency on it, meaning a complete suburban American community, and it had 140,000 skilled Filipino workmen. 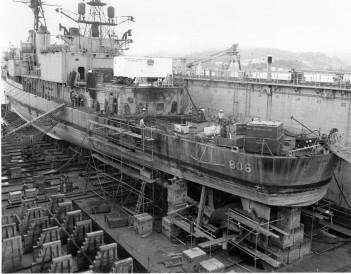 Plus it had all of the dry docks, forges, and other equipment necessary to homeport and maintain the Pacific fleet. In addition there was the long history of MacArthur and Corregidor and Bataan and everything that went with that psychologically and emotionally. So these bases were the heart of our military position in the Pacific. 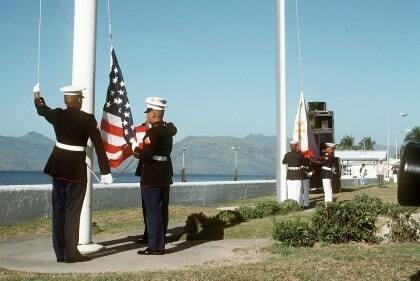 And as the Army was wedded to Korea, bureaucratically, so was the Navy wedded to Subic Bay. The Air Force was not quite as strongly wedded to Clark because airplanes fly faster and farther and air ranges can be developed more easily elsewhere. Still, they had their own attachment. ….We did some studies on what it would cost to replace Subic Bay. The number was not all that awesome–about 14 billion. For people not Pentagon oriented, that sounds like a lot of money, and it is. But out of a $300 billion annual budget, and spread over several years, it is not insuperable. The work force was another matter. You lay off 140,000 skilled workmen…. and it makes for a very touchy political situation. A disproportionately high proportion of the national income was derived from these bases. The real issues were political. If we were not going to maintain the fleet at Subic Bay, where to go? Singapore? Thailand? South Korea? Taiwan? SOLOMON: The Philippine Senate became very hostile to the American bases. They looked at them as a holdover from the colonial era. Also, Marcos had used the bases as an excuse to gouge Americans for rental money, and it was evident that some of that money was used to line his own pockets. So there was real hostility on both sides. At the same time, the Foreign Minister of the Philippines at that time under Corazon Aquino was Raul Manglapus. Manglapus had political ambitions, and at one point he thought he might run for UN Secretary General. At another point he was thinking of running for the Philippine Senate. When Corazon Aquino asked him to renegotiate the military base agreements with the Americans, he was pulled between his responsibilities as Foreign Minister and the forces of Philippine nationalism. He pursued a very ambivalent negotiating posture. On the one hand, he was instructed by Aquino to get a deal on the bases. But on the other hand, his own political agenda and other inclinations led him to want to take a very nationalistic stand. Richard Armitage was our lead negotiator on the Philippine bases. He spent the better part of a year trying to get the Filipinos, who do not run a very well-structured, disciplined bureaucracy anyway, to create a negotiating position. And Manglapus, the Foreign Minister, basically failed to exercise leadership because he was split down the middle himself on what to do on this issue. The outcome, which was determined by a vote of the Philippine Senate in 1991, rejected the renewal of a base agreement with the United States. So for the first time in almost a century, the U.S. was going to leave the Philippines. The mood between the U.S. and the Philippines was really not very good. Secretary of Defense Cheney had visited the Philippines, I believe in 1990, and Corazon Aquino had refused to see him because of domestic political factors. That really put everybody’s teeth on edge, and there was an attitude of, “Well, if they’re not interested in treating us in an appropriate way, the hell with them. If they want us to go, we’ll go. Goodbye.” There was a lot of bad blood in that situation. The initial turn around was an act of nature. In 1990, totally out of the blue, there was a major volcanic explosion in the Philippines. A mountain no one ever really paid much attention to — Mount Pinatubo, which was part of a range of volcanic mountains just to the north of Clark Air Base — suddenly erupted and spewed enormous amounts of ash, and generated major lava flows that destroyed Clark Field. It has since been reopened, but at the time it looked as if it was finished as a facility. Subic Bay remained, so the negotiations really ended up focusing on the future of Subic Bay, plus a couple of smaller facilities. That was the situation at the end of 1990. My relatively brief tour in the Philippines, which began on September 1, 1992, involved overseeing the already fairly well-advanced process of closing out Subic Bay. I worked closely with the military, the commander of Subic Bay, whose name I forget at the moment, who was a terrific naval officer. He did a very professional job. Because of the negative political voting on the issue of the bases and nationalistic sentiment, right after the bases were closed the big issue that provided counter pressure against us was whether we would work out a so-called “access arrangement” with the Philippines, as we had with Singapore. Even though we no longer maintained Subic Bay as an American Naval base, the question was whether the Philippine government would give our naval ships and sailors access to Philippine ports. Again, there was enormous political pressure in the Philippines against providing such access. So the level of U.S.-Philippine military cooperation subsided significantly. The reason I urged the Filipinos to keep our defense relationship active – this was in 1992 or early ‘93 – was that I felt that they were going to find the Chinese putting pressure on them as Beijing pressed its claims for the Spratly Islands and other areas in the South China Sea, some of which the Filipinos claimed…. The Chinese asserted their presence in this contested area in the South China Sea because of a growing nationalism, which led them to want to reinforce their territorial claims. But I also think they did it as a way of making everybody aware that the Americans were not around anymore, and that the Philippines and the other ASEAN countries would have to deal with China on their own. I had urged Secretary Baker to take a fairly active position in response to Chinese efforts to put pressure on the Philippines and others who were our friends or allies in the region on the issue of the territorial disputes in the South China Sea. I made the argument that even if we weren’t a direct claimant to these territories ourselves, if we were not seen as supporting the interests of key allies like the Philippines, then other allies in the region who are much more important to our interests – especially Japan, which had its own territorial dispute in the East China Sea with China, and Korea – would begin to have doubts about our staying power and our value as a defense partner…. My assumption was that after the bases were closed out, given what was going on in Southeast Asia, the Filipinos really had to face up to their economic circumstances and get their economy moving. They had missed the wave of heavy investment in Southeast Asia during the 1980s first because of the Marcos situation, and then due to the flaccid policies of Corazon Aquino on issues of economic growth. So in my view the Filipinos had to make economic growth their primary focus…. The opposition to renewing the bases agreement came largely from the Pentagon, where people had had increasing difficulty working with the Filipinos. They didn’t want to be there if they weren’t welcome. There had been, of course, the assassination in 1989 of a military officer involved in the JUSMAAG [Joint U.S. Military Assistance Advisory Group] operation, Nick Rowe. In addition, there was a financial incentive to close out the bases because the Pentagon was already feeling the pressure of the post-Cold War budget squeeze. So the prospect of the 200 plus million dollar annual “rent” payment for the bases was something that the Navy was not interested in having to bear. Neither the U.S. military nor the Filipinos were taking a strategic view of the situation; it was basically a situation where the Pentagon, in particular, was fed up with the Filipinos, and they didn’t want the monetary burden of sustaining the bases. So they were quite prepared to take a walk, and that’s in effect – for complex reasons – what happened…. I would say the culminating experience of my six-month tour as Ambassador to the Philippines was presiding over the formal ceremony closing out Subic Bay. That event, in the Filipino psyche, ended the colonial era. As President Ramos said in his speech at the closing ceremony, for the first time in more than three centuries there were finally no foreign troops on Philippine soil. The Spanish, of course, had gone when we drove them out at the turn of the century, after three hundred years, and now we were out of there. That really did end an era in Philippine history.